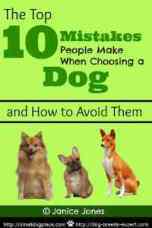 There are many dogs good with children, but finding the best family dog takes a little research and many would argue that small breed dogs don't make the cut. I Beg to Differ!! 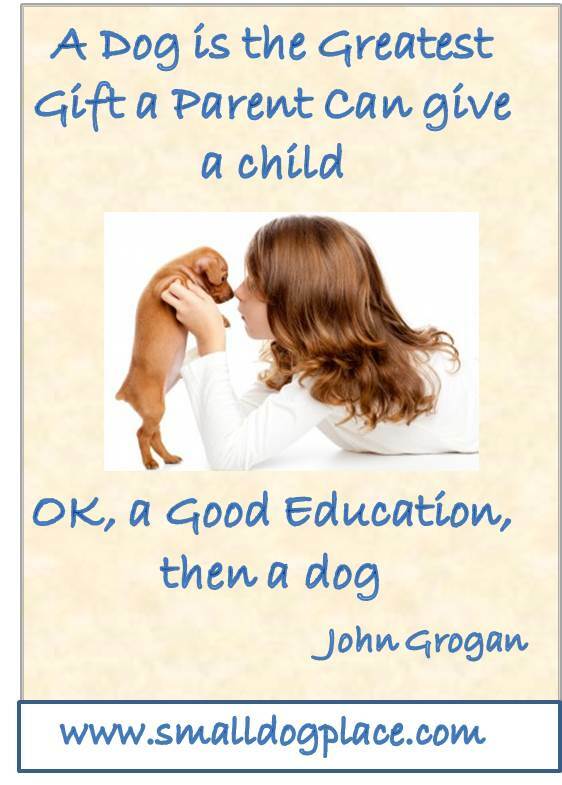 When my fourth grade teacher told my mother that I, the poor, shy kid in her class needed a dog, I’m sure that my parents didn’t even consider what dog would be best for me or my siblings. That was many years ago and things have changed. Dogs and Children have been best friends for eons—they share a very special close bond—a confidante, a playmate, a best friend forever. 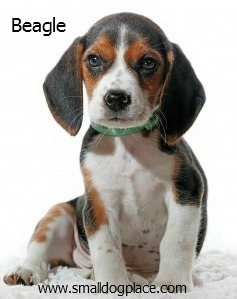 Visit our Beagle Page for More Information. The Boston terrier, dubbed the American Gentleman, has a fabulous gentle disposition, a strong desire to please, and is very easy to train. They are a highly intelligent breed that needs proper training or it can get a bit too rambunctious at times. They are playful and active, but prefer to stay by your side so they are easy to manage. 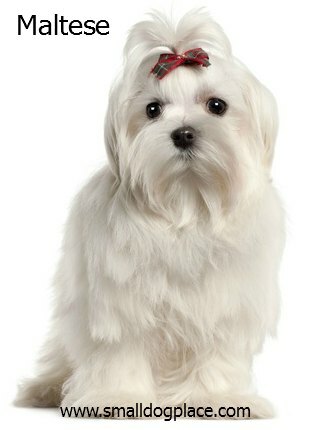 They have a short coat which makes them an ideal choice for busy families with little time to groom. 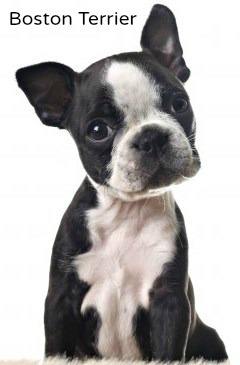 Boston Terriers make great playmates for children because they crave mental stimulation, physical exercise and enjoy both indoor and outdoor activity. Very young children should be supervised during play sessions. Visit our Boston Terrier Page for More Information. These are the actors of the small breed dog world and thrive when they are the center of attention. Playful, gentle and highly affectionate, these guys do very well with children. They have a thick coat that requires regular grooming, but they are non-shedding, making them great for allergy sufferers. They are intelligent and easy to train, but very sensitive, so no harsh punishment methods here! This breed loves everyone, which makes it a good choice as a family pet. 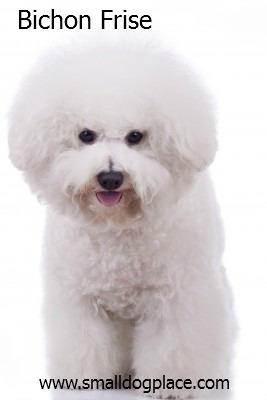 Visit our Bichon Frise Page for More Information. The sheer cuteness of this breed is likely to melt your heart, but accompanying that adorable face is a dog that is affectionate, energetic and very intelligent as well. They just seem to understand you and what you want from them, so they are easy to train. These guys make very devoted family pets and do well with children because they love to play and seem to enjoy the activity that accompanies an active family. Some breeders won’t sell to families with children under five years old, but rescuing an adult dog is a definite possibility. They don’t bark frequently and are normally well behaved. They can be wary of strangers, but does well with other household pets. 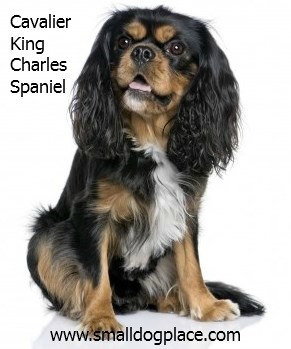 Visit our Cavalier King Charles Page for more Information. 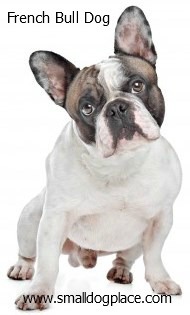 Frenchies as they are lovingly called are friendly, loyal, happy and do well with older children. They like to be the center of attention and are a very gentle breed. 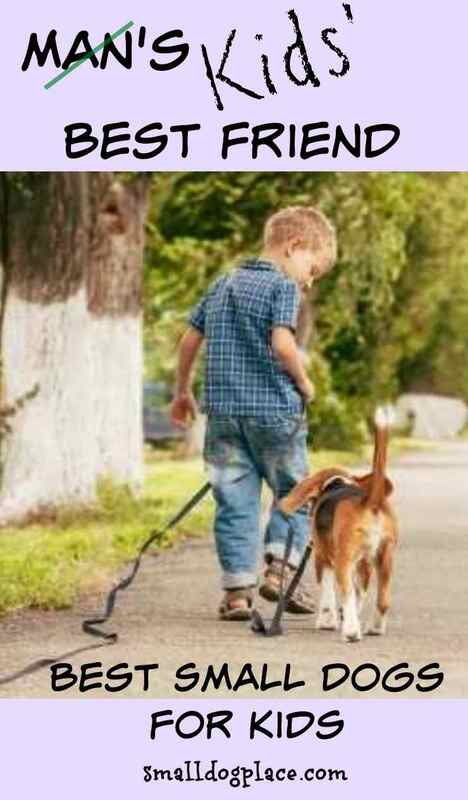 Children need to learn how to pick the dog up and hold it so as not to hurt it or drop it. They don’t require much exercise and in fact, if any of the small breed dogs could be called couch potatoes, the French Bulldog would be high on the list. They love to play but can’t tolerate the long periods of rough and tumble play of some children. Their grooming needs are minimal and they do fairly well with training. As long as children are careful, these dogs make good family pets. Please visit our French Bulldog Page for More Information. Once quite rare, these dogs are gaining in popularity as good dogs to have when you have young children. They are highly intelligent and quiet and also easy to train. They have along wavy coat that requires much upkeep, but they do not shed. 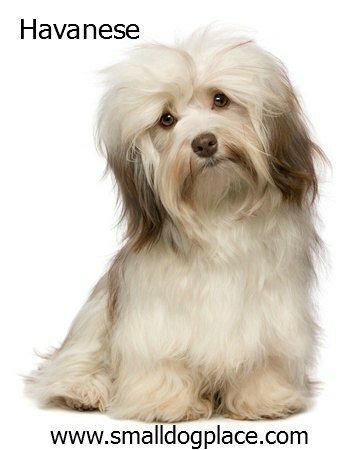 Please visit our Havanese page for more information. These dogs have been bred for 1000s of years to be companions and they are wonderful playful lap dogs that are very gentle. 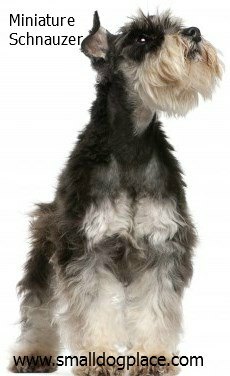 Grooming can be an issue due to their long flowing coat, but if kept trimmed in a short clip, grooming time is considerably reduced. They are small, usually from 4 to 6 pounds, but many end up weighing more as adults. Children do well with this breed due to its spunky nature, but very young children should be taught how to handle such a small dog. Puppies are very tiny when they are ready to go to their forever home, so this is the best time to teach children how to safely hold their new pet. These little dogs are smart and very easy to train. If introduced to children as puppies, they do extremely well. They do require more grooming than other breeds including a visit to the groomers about every 2 months, but they don’t shed and would make an ideal pet for someone with allergies. They also make great watch dogs and playmates for your children. The one thing to be concerned about is that many terriers can be snappy if provoked, so the dog and child match is most important for this breed. The best scenario would be if you are looking for a miniature schnauzer puppy is to find a breeder that has children of her own so the puppies are socialized from day one with children. Check out our Miniature Schnauzer Page. Poodles make great family pets. They love being with people, are friendly and gentle and have an adventurous nature to them—whether it’s just sitting by and watching TV, going for a car ride, or a romp in the park. Poodles general love everyone in the family and thrive on the commotion that accompanies households with small children. 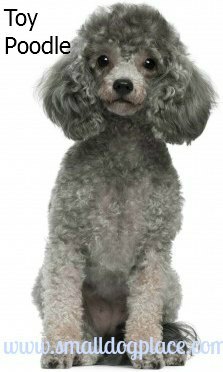 Poodles, however, are high maintenance dogs when it comes to grooming and unless you are planning to learn to clip your own dog, a visit to the grooming is necessary every 6 to 8 weeks. Take that into consideration and be sure if fits into your budget. The one caveat that poodles present is their small size and delicate nature. Rough and tumble play is to be avoided as these dogs can get injured easily. A larger toy poodle or miniature might be the best compromise. Avoid the teacup versions at all costs. Visit our Toy Poodle Page for more information. All small dogs seem to fit into the category of “small dog, big attitude” but the Pug does it the best! They are very loving, incredibly playful, friendly and happy. Some would say that there is not a mean bone in their body and that about sums it up. They love their families but are equally friendly and outgoing with strangers. 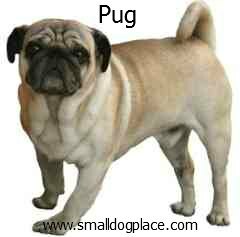 Pugs adapt well to many different situations, are highly trainable and eager to please. They require minimal grooming, although they are known to be heavy shedders. 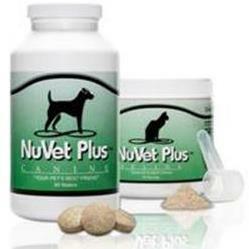 A great overall family pet, but beware, they are prone to obesity if fed too much and exercised too little. Please visit our Pug Page for more information. These little guys are much sturdier than their small size suggests making them good for small children. They are gentle, relatively quiet and calm, although they can have bursts of energy where all they want to do is run and play. They don’t shed, so they are better for individuals with allergies, although grooming needs can be great especially if you decide to keep them in full coat. Most people prefer to keep them in a short trim. Their exercise needs are minimal, but they can be stubborn at times making training somewhat of a challenge. Let me just say that I truly believe all small dogs can make good family pets given the right circumstances, training and compatibility. The dog breeds we mentioned above are only a few of many others that would make suitable family pets, but these are the ones that are likely to be the best choices. 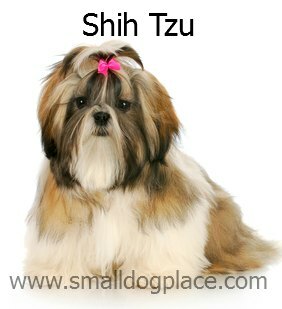 Please visit our Shih Tzu page for more information.